Poison Savant features an oversized core with a molded lip. The oversized core not only reduces weight but increases the overall roll (speed). With the increased speed the molded lip plays a big role in ensuring the grip characteristics remain! 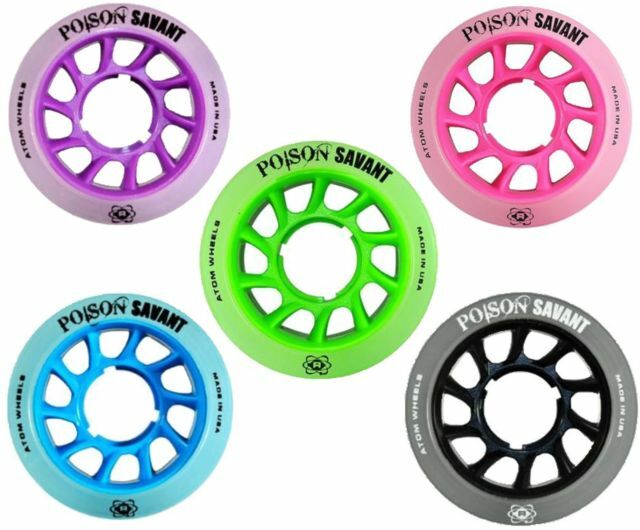 Made with the same famous Poison urethane providing awesome grip without that 'sluggish marshmallow' feeling which allows for more roll. Cant wait to try these out! they are cute, thin and light.